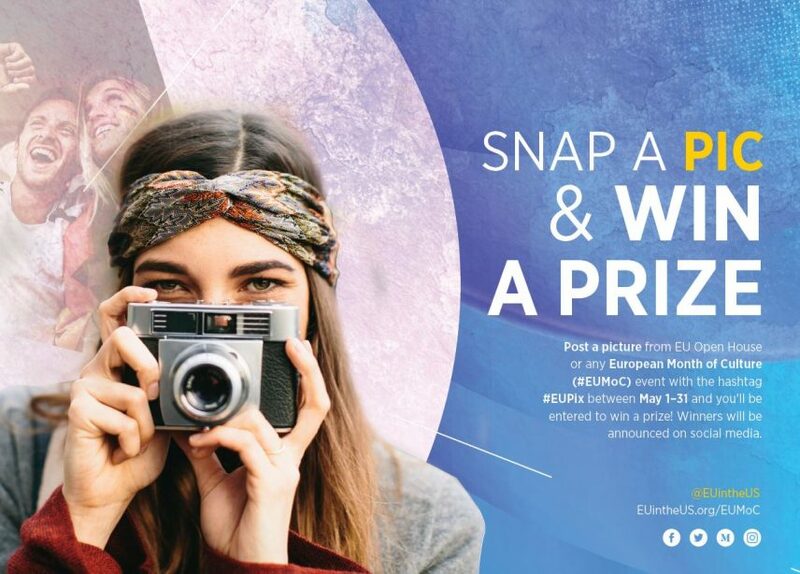 Snap the best picture during EU Open House or any European Month of Culture event with the hashtag #EUPix between May 1-31 and you could be featured on the EU Delegation's social media accounts and win an ultimate swag bag full of European Embassy gifts and giveaways. Step 1: Take a photo in front of an iconic background at any of the participating EU Embassies and/or the EU Delegation. Step 2: Upload your photo to Twitter, Instagram, or Facebook and tag it with #EUpix. In total there will be three winners (1 st place - gold, 2nd place - silver and third place - bronze.) You will be judged on composition, usage of colors and creativity. Winners will be announced early June.